Oloyede’s N5 billion revolution | Welcome to Dare Lasisi's blog! Barely a year ago, precisely on July 31, 2016, President Muhammadu Buhari appointed some eminent Nigerians to take charge of the parastatals within the Ministry of Education. One of these appointments was that of the former President of the Association of African Universities (AAU) and immediate past Vice-Chancellor of the University of Ilorin, Prof. Is-haq Oloyede, as Registrar and Chief Executive of the Joint Admissions and Matriculation Board (JAMB). While the news of his appointment was greeted with acclamation by well-meaning Nigerians who knew the quality of his personality combined with his phenomenal performance in previous national and international assignments, some undesirable elements in ethnic, religious and academic garbs mounted a futile opposition. It was not as if they did not know Oloyede, they were only playing true to type as maggots that would always detest sanitary inspectors. A man of restless questing spirit, razor-blade intellect and remarkable physical energy, as soon as Prof. Oloyede assumed duty, he reached for the accelerator and put JAMB at full throttle. He has not looked back since then and I know he won’t. There were many forces to contend with. The fat cats that milk the nation dry and big men that have fraudulently diverted public funds within his jurisdiction to acquire mansions were confronted by the essential Oloyede. Many of them preferred to return their illegal acquisitions to the Government while some had their days with the law enforcement agencies. Prof. Oloyede silently fought his battles and his adversaries launched their counter-attacks in sponsored media campaigns, cyberwarfare and rented placard-carrying street urchins crying foul anytime their sponsors pressed their control buttons. In spite of all, he deftly created the process of blocking leakages beginning from stopping scratch cards and democratising opportunities instead of some cartels holding the Board at the jugular. It was a Titanic battle of wits and slings which culminated in the failure of the first mock Unified Tertiary Matriculation Examinations (UTME) conducted by the Board. He had known all the while he would be sabotaged and the mock UTME was meant to forecast challenges and do threat analysis. The enemies succeeded in slightly making the first mock UTME fail but unknown to them, they had helped Oloyede to create a system of human antivirus to checkmate their future cyber-attacks. Ultimately, the rescheduled mock Exams held successfully and the much-awaited UTME itself was seamlessly conducted afterwards across the Federation. It was a 98 percent success rate in spite of the exaggeration of the technology-related hitches. JAMB today stands as one of the best performing Government agencies. 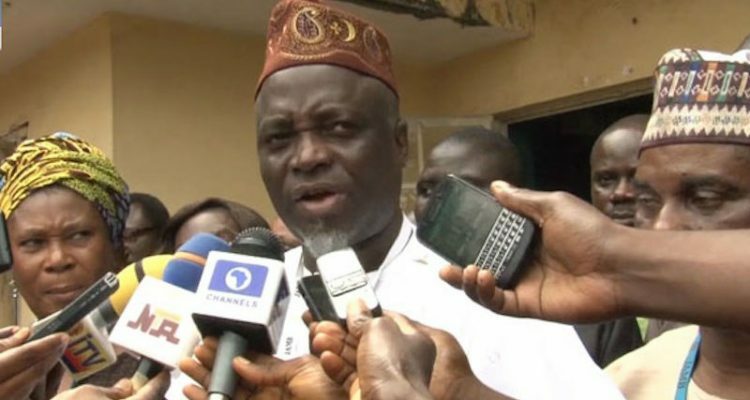 In less than a year in office, Prof. Oloyede has returned over 5 billion Naira to the coffers of the Federal Government and JAMB is considering the downward review of its application forms to alleviate the financial burden of the less privileged Nigerians. Where there is honour, the expectation is from Prof. Oloyede’s traducers to commend him as ordinary Nigerians now do. If there is integrity, all those who queried his appointment owe themselves a responsibility of acknowledging this rare display of rectitude both in terms of conducting well-applauded exams and giving back funds that others pocketed. But where is honour? Only those who have it can give it. So, it's not surprising there is a conspiracy of silence about the unprecedented patriotic action.